Pedialyte vs Gatorade: Which Is The Better Drink For Hydration? Best Home Gym Equipment Reviews Pedialyte vs Gatorade: Which Is The Better Drink For Hydration? When on a strength or hypertrophy training regimen, hydration generally isn’t going to be your biggest concern as far as your macronutrient and caloric intakes are concerned. Visiting the water fountain or taking a few swigs from your water bottle between sets and the recommended 1-2 gallons of water per day will be more than enough to keep you hydrated. However, for those of you who either have long duration, high-intensity workouts; or, for those of you who actively participate in endurance sports like soccer or basketball, you may need a boost of carbohydrates and electrolytes to keep your body hydrated enough to maintain energy levels so you can focus on the task at hand. There are several drinks on the market that contain carbohydrates and electrolytes to give you a boost of energy and help with hydration. Gatorade and Pedialyte are the two most popular hydration boosters. Gatorade has long been marketed as a sports drink, and it contains electrolytes and carbohydrates for a burst of energy. Pedialyte also contains carbohydrates, electrolytes and a good amount of potassium. These drinks can replenish your body a bit quicker than water, and offer some additional nutrients to help recovery. Pedialyte is a drink marketed more as a health drink for kids, but many athletes drink it to replenish their bodies and keep themselves hydrated during periods endurance training or conditioning. Pedialyte is available for purchase at most pharmacies and grocery stores. Pedialyte is known for being given to children exhibiting stomach flu symptoms to help with hydration. There are several ingredients that are present in both Pedialyte and Gatorade, but what sets Pedialyte apart from Gatorade is its sodium content. Pedialyte has almost twice the sodium as Gatorade. Why does this help? Sodium helps the body to retain water, and to stay hydrated for longer. After sodium consumption, your cells get thirsty, take in water and retain it. Water retention helps you to not feel as thirsty when participating in vigorous exercise. 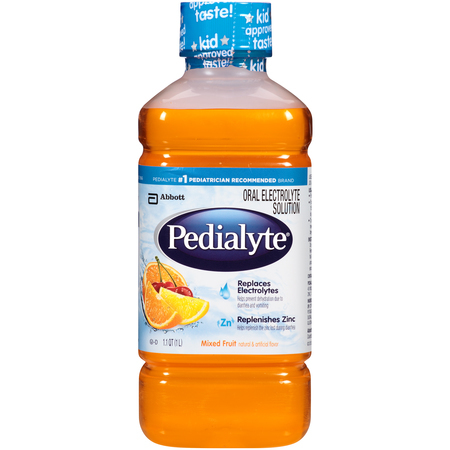 Pedialyte also helps the body to maintain its levels of potassium better than Gatorade. Potassium helps regulate blood pressure and digestion, and getting enough in your diet, especially when undergoing rigorous exercise, is important. There are three main drawbacks with Pedialyte: cost, availability and taste. For twice the sodium of Gatorade, you will certainly pay the price. Pedialyte is also not as widely available as Gatorade, which can be purchased anywhere from gas stations and corner stores to fast food chains. Also, in all of the studies conducted on the effects of hydration of Pedialyte vs. Gatorade, the participants preferred the taste of Gatorade. Despite all that it has excellent reviews and buying the powdered version cuts down on the cost significantly. Since the early 1970s, Gatorade has been the number one choice for the hydration of sports teams both amateur and professional. You probably see a television commercial for Gatorade at least once a week, and with good reasons. There may actually be misconception that Gatorade is the number one sports drink just because it is the most advertised. Most of the “hot” athletes of every decade have had an endorsement from Gatorade, from Kobe and Shaq to Lebron James and Sidney Crosby. While the opinion that Gatorade’s popularity and widespread usage is due to brand loyalty certainly has some merit, Gatorade actually is the most effective sports drink at hydrating, energizing and replenishing the body. 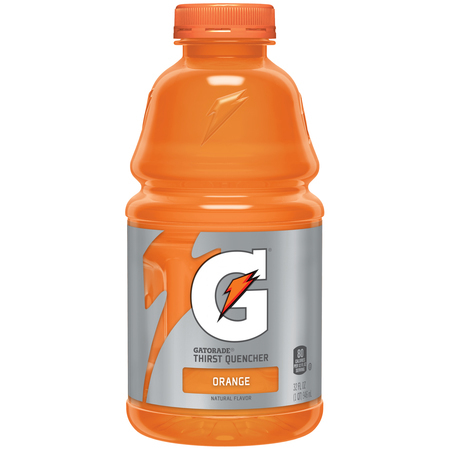 Gatorade contains electrolytes and a healthy dose of carbohydrates to give you a boost of energy so you have more gas in the tank when running sprints, doing circuits or sending a cross downfield for the winning goal. As we mentioned before, carbohydrates are the biggest part of what sets Gatorade apart from Pedialyte. Carbohydrates break down into glucose, which provides your body with energy. Without carbohydrates, your body uses the available fat, then protein and muscle tissue for energy. Gatorade is also more widely available, and more cost-effective than Pedialyte, which is usually only available at pharmacies and grocery stores. When looking for a blend of carbohydrates, sodium and electrolytes to supplement an athletic performance, Gatorade is nearly unbeatable. However, in a clinical setting, Pedialyte has been the chosen brand due to its superior water retention qualities. Although Gatorade does provide a decent amount of sodium, it’s still only half of what Pedialyte brings to the table. If you’re hitting the weight room with a strength or hypertrophy training, you really don’t need to reach further than water for your hydration needs. However, there are a few scenarios which necessitate a little extra. Long duration training like steady-state cardio, sprints or conditioning exercises; athletic sports competition like soccer, tennis or basketball; or illness that causes dehydration stomach flu or diarrhea. Pedialyte and Gatorade can help with those scenarios and make sure your body has the electrolytes and sodium it needs to regain and maintain hydration. While these substances are extremely similar in both ingredients and nature, and they both help with hydration, they are not equal. Deciding which one is best for you depends on your specific scenario which we’ve gone over above. 2. Nothing wrong with genetically modified foods. 3. Harsh sugar? Lol what. Gatorade has more sugar than Pedialyte for sure, but then again There’s nothing inherently wrong with the sugar. I personally feel more hydrated with Pedialyte, although I always buy the generic version from Wal-Mart or Walgreens.